Welcome to Angelo’s Marble and Granite, LLC., a family-owned-and-operated business proudly serving Fairfield County and surrounding areas.We specialize in the fabrication and installation of granite countertops, quartz countertops, marble countertops and other indoor/outdoor stone surfaces including kitchen countertops, bathroom countertops, backsplashes, vanity tops, bathtub surrounds, shower walls, fireplace surrounds, Jacuzzi surrounds, BBQs, furniture tops, and much more!With over 20 years of experience in stone fabrication and installation and up-to-date knowledge of the latest stone products and techniques, our company and its team of friendly, highly trained specialists are committed to answer all of your residential, commercial and corporate needs, providing you with superior products and services at a fair price. Whether you’re looking to update your kitchen, renovate your bathroom, give your fireplace a facelift or design the bar or outdoor space of your dreams, Angelo’s Marble and Granite, LLC. can help you achieve the look you want at a price you can afford! Kitchen Countertops, Kitchen Island Tops, Kitchen Backsplashes, Bathroom Countertops, Vanity Tops, Bathtub Surrounds, Shower Walls, Fireplace Faceplates, Fireplace Surrounds, Jacuzzi Surrounds, BBQs, Furniture Tops, and much more! Granite is a natural stone with natural variations in pattern, color and veining. 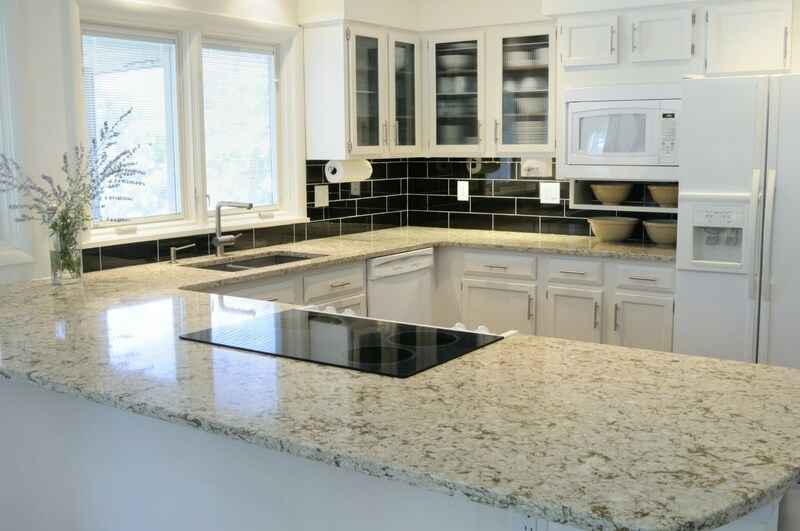 Granite countertops, available in countless colors and patterns, are attractive and durable, resist heat, cut and scratches, and withstand most stains. 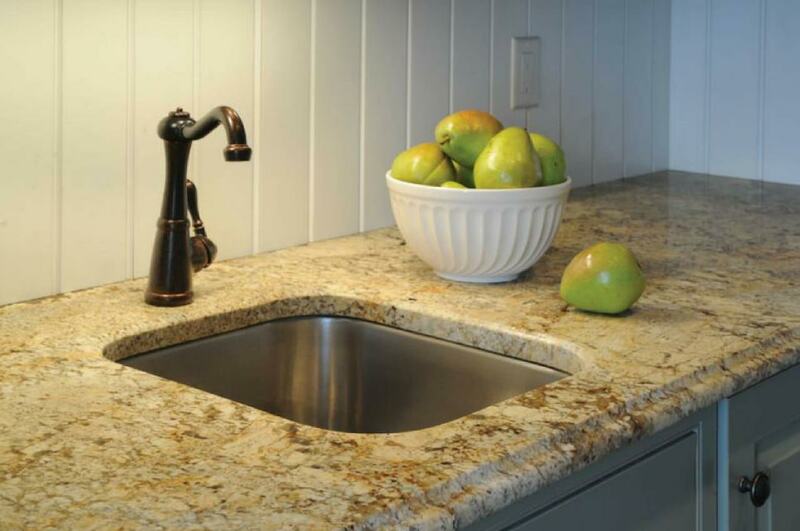 Granite countertops are an elegant, timeless choice for kitchens and bathrooms. Marble is a natural stone with characteristic veining on a crisp background. Marble countertops are a classic, durable choice everywhere around the home. They resist staining well with regular sealing, making it a great choice for a variety of applications including kitchen countertops, shower walls and fireplace surrounds. Soapstone is a natural stone that’s durable and not very porous, making it a great choice for kitchen countertops. Soapstone countertops are superb at resisting heat damage, resist bacteria, and are easily restored if scratched. Soapstone will acquire a beautiful patina over time, making it a great option for vintage designs. “Quartz” is a man-made material made of crushed stones and polymers. 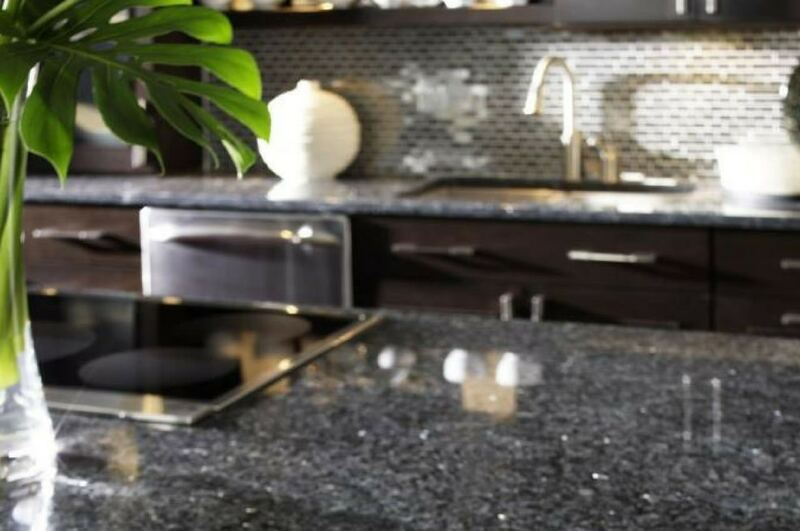 Quartz countertops are highly durable, easy to maintain, and resist heat, scratches and most stains. Often available in white and monochromatic colors, quartz countertops have become a popular choice in contemporary homes. Quartzite is a natural stone derived from sandstone. Quartzite countertops are a sparkly, stunning option for distinctive kitchens and bathrooms. Quartzite countertops are highly resistant, extremely durable, and withstand heat even more than quartz, making them a great choice for one-of-a-kind kitchens and bathrooms. There are a variety of other options for kitchen countertops, bathroom countertops and other stone surfaces including onyx, limestone and travertine. Whatever your choice, you can trust Angelo’s Marble & Granite, LLC. to help you get the look you want at a price you can afford!